On January 4, 2016, E. David Christine, Jr. began his fifth, four year term as the elected District Attorney of Monroe County, Pennsylvania. Born in East Stroudsburg, Pennsylvania, David Christine is a seventh generation descendant of Philip Bossard, the first European pioneer to settle in Cherry Valley in 1745. David grew up on the family farm located only a few miles away from the Bossard homestead. Born into a family with a proud reputation for public and community service, David is the son and namesake of the late Elmer D. Christine, Sr., Esquire and the late Dee Gregory Christine. Elmer D. Christine, Sr. served as District Attorney of Monroe County from 1952 through 1955. One of the longest serving attorneys in the history of Monroe County, Elmer Christine held the position of member of the Monroe County Bar Association for 63 years at the time of his death in 2004. A dedicated volunteer for many community and charitable organizations, Dee Christine volunteered at Pocono Medical Center for more than 50 years. Mr. Christine’s brother, Greg, previously served one term as a Monroe County Commissioner, and presently serves the current Board of Commissioners as the County Administrator. 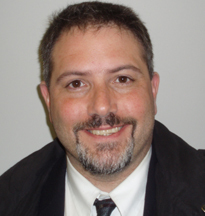 David Christine resides in Stroudsburg with his wife, Lori J. Cerato, Esq. Michael Mancuso is the First Assistant District Attorney of Monroe County, Pennsylvania. Born in Newark, New Jersey, First ADA Mancuso’s family relocated to the Monroe County in 1978. He attended Pocono Mountain High School where he played football, graduating in 1983. First ADA Mancuso also took up boxing during his high school years. First ADA Mancuso has been with the Monroe County Office of the District Attorney since 2000. Mark S. Matthews has been employed with the Monroe County District Attorney’s Office since July of 2002. Prior to joining the District Attorney’s Office, ADA Matthews was a law clerk for the Honorable Linda Wallach Miller (retired), and then the Senior Law Clerk for the Honorable Ronald E. Vican (retired). ADA Matthews is a graduate of the Pocono Mountain High School, and received his B.A. in Economics and Political Science from the Thomas M. Cooley Law School in Lansing, Michigan. He is licensed to practice law in Pennsylvania. Mark is a life-long resident of Monroe County. Prior to becoming an attorney, Mark worked for over 20 years with his family in a restaurant that they owned in Mt. Pocono. 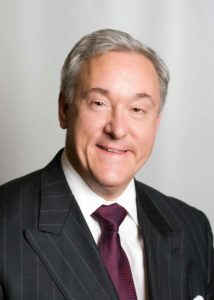 Chad Martinez received his Juris Doctorate from the Dickinson School of Law in 1992. After graduation he practiced civil law for 10 years, mainly in the areas of zoning and planning, family law, school law, and criminal defense. In 2004, ADA Martinez opened his own legal practice and began working part time as an Assistant District Attorney with the Monroe County District Attorney’s Office. Michael Rakaczewski graduated from King’s College in Wilkes-Barre, Pennsylvania, where he majored in Criminal Justice. He received his Juris Doctorate from Widener University School of Law in Harrisburg, Pennsylvania. While attending law school, he worked with the Harrisburg Civil Law Clinic providing assistance in drafting the Address Confidentiality Program for victims of domestic violence, sexual assault, and/or stalking. ADA Rakaczewski has been employed with the Monroe County District Attorney’s Office as an Assistant District Attorney since 2004. He has extensive trial experience, having conducted over 60 criminal jury trials to verdict, in addition to numerous bench trials. His current duties and responsibilities including prosecuting sexual assaults, major domestic violence cases including violations of protection from abuse orders, child abuse cases, and sexual exploitation of children cases, as well as serving as legal advisor to the Monroe County Drug Task Force. Curtis Rogers graduated from the West Virginia University School of Law in 1989. He began with the Office of District Attorney in 1990, serving as First Assistant and working under three different District Attorneys until his departure in 1997. During his tenure, he was responsible for handling major cases of all types, including homicide, sexual assault and controlled substances. Since that time, he has held a number of different positions in the public and private sector, including Investigative Counsel with the PA State Ethics Commission and in-house counsel positions with corporations in northeastern Pennsylvania. He is currently engaged in a commercial practice focused on the needs of various business clients in the region. ADA Rogers is also active with a number of non-profit organizations in the area, including serving as a member of the executive board of the Monroe County United Way and board president in 2011-2012, and also as a member of the advisory board of the Devereux Pocono Center. Matthew Bernal joined the Monroe County District Attorney’s Office in February 2012. Matt is originally from West Milford, New Jersey. He studied Criminology and Justice with a concentration in Law and Society at The College of New Jersey where he earned a Bachelors of Science in 2009. While at The College of New Jersey, Matt spent a semester as an intern with the New Jersey Juvenile Justice Commission. Additionally, during his Junior year in college, he collaborated with a professor to co-author an article on Somali Piracy which was published in the Georgetown Journal of International Law. In August 2009, he enrolled at Villanova University School of Law. While there, he served as a member of the school’s Moot Court Board during his second and third years. Additionally, during law school, Matt interned with the New Jersey Office of the Attorney General – Office of the Insurance Fraud Prosecutor and the Montgomery County Public Defender’s Office. Following graduation from Villanova Law in May 2012, he served as the law clerk to the Honorable Arthur L. Zulick in Monroe County from August 2012 until starting with the District Attorney’s Office. Christy Schlottman has been employed with the Monroe County District Attorney’s Office as an Assistant District Attorney since 2013. Christy also has her own private practice in Easton, Pennsylvania. Prior to opening her own law office, Christy was employed as an Associate Attorney at various law firms in the Lehigh Valley representing individuals, municipalities, businesses and employers with a wide array of legal matters in state and federal court at both the trial and appellate levels. Before entering private practice, Christy served as a judicial law clerk to the Honorable John H. Pursel in the Superior Court of New Jersey, Criminal Division. Christy received her Juris Doctor from Suffolk University School of Law. During law school, Christy spent a semester abroad in Melbourne, Australia and Christchurch, New Zealand where she studied international law and comparative legal studies. Christy received her Bachelor of Arts in Political Science from American University. Christy is admitted to practice law in Pennsylvania, New Jersey and Virginia. She is also admitted to the U.S. Court of Appeals for the Third Circuit and the U.S. District Court for the Eastern District of Pennsylvania. She is a member of the Warren, Lehigh and Northampton County Bar Associations. Julieane Fry was born and raised in Loveland, Colorado. However, family ties to Pennsylvania had her and her family moving to Pennsylvania in 1992. Julieane graduated from high school in the Pittsburgh Area. She attended Shippensburg University of Pennsylvania where she majored in Speech/Communication and was part of the track and field team. After graduating from Shippensburg, Julieane moved to Harrisburg, Pennsylvania where she attended Widener School of Law. She graduated in 2001 with her Juris Doctorate. During her tenure in law school, Julieane interned at the Pennsylvania Attorney General’s Office. After passing the bar in 2001, Julieane served as the judicial law clerk for the late President Judge Joseph H. Kleinfelter. After a two year clerkship, Julieane transitioned to the Dauphin County Public Defender’s Office. Upon relocating to Northern Berks County, Julieane joined the Lehigh County Public Defender’s office as a part-time Public Defender. During both her time in Lehigh and Dauphin County, Julieane worked as a trial attorney and worked on the appellate teams. She moved into full time practice at MidPenn Legal Services in Reading, Pennsylvania where she specialized in custody law. After quite a few years at MidPenn Legal Services, Julieane moved into private practice where she handled mostly family law. In 2014, Julieane rededicated her career to criminal law by accepting a position with Monroe County District Attorney’s Office as an Assistant District Attorney. Julieane now works full time as an Assistant District Attorney. 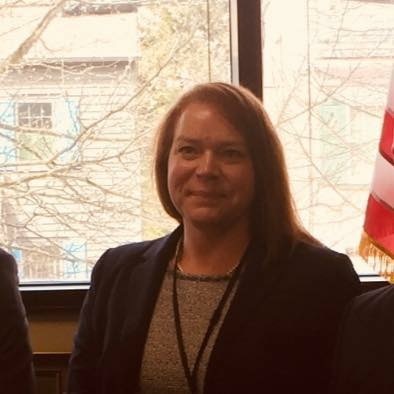 Originally from Rochester, N.Y., ADA Kroeckel joined the Monroe County District Attorney’s Office in January 2015. After graduating from the Penn State Dickinson School of Law in 2012, ADA Kroeckel began his legal career as a law clerk for the Honorable Jonathan Mark of the Monroe County Court of Common Pleas. He served under Judge Mark for two years. While in law school, ADA Kroeckel served as an intern for the Hon. Arthur L. Zulick of the Monroe County Court of Common Pleas. He also served as an extern for the Governor’s Office of General Counsel with the Department of Corrections and for the Hon. Renee Cohn Jubelirer of the Commonwealth Court. In addition to serving as an assistant district attorney, ADA Kroeckel maintains a private practice with a focus on Employment Law and Domestic Relations Law. A 2003 graduate of Ithaca College with a degree in journalism, ADA Kroeckel worked as a sports writer at three different newspapers prior to attending law school. Catherine Pirolli joined the Monroe County District Attorney’s Office in January 2016. Catherine was born in Philadelphia and raised in Bucks County, PA. She graduated from Villanova University in 2011, where she studied Criminal Justice and competed as a member of the Mock Trial Team. Catherine attended Temple University’s Beasley School of Law, graduating in May 2015. While in law school, she enjoyed a summer studying international law in Rome, Italy. Upon graduation, Catherine received recognition for the pro bono work she completed while in law school. In addition to interning in multiple Philadelphia law firms, Catherine spent a year working as a Certified Legal Intern in the Bucks County District Attorney’s Office. David Marra joined the Monroe County District Attorney’s Office in March of 2016. Born and raised in Monroe County, Dave is a 2007 graduate of Pocono Mountain High School and 2011 graduate of Marywood University (B.A. in Business Administration) and the University of Scranton (Military Science). Dave graduated from Widener University’s School of Law, Harrisburg Campus, in May 2015. In addition to his service as an Assistant District Attorney, Dave serves his community in many other ways. He is currently a Captain and Calvary Officer with the 2nd Squadron, 104th Calvary Regiment in the Pennsylvania Army National Guard, and was Airborne Qualified in 2009. Dave is also an active volunteer firefighter in Pocono Township. Dave is the current Vice President of the Monroe County Bar Associations’s Young Lawyer Division, a member of the Knights of Columbus, and an Eagle Scout and active member of Post 940. Rich P. White joined the Monroe County District Attorney’s Office in January of 2018. Originally from Bucks County Pennsylvania, ADA White graduated from Misericordia University in 2010. After college, he attended the Duquesne University School of Law, graduating in May 2015. While in law school, he worked as a Certified Legal Intern at the Allegheny County District Attorney’s Office. He was also a member of the school’s Trial Advocacy Program where he was both a Finalist and Semi-Finalist in two National competitions. Following law school, he worked as an Assistant District Attorney in Allegheny County before accepting a position at the Monroe County District Attorney’s Office.